StarDot introduces an affordable solution for viewing multiple cameras over the Internet and local area networks. 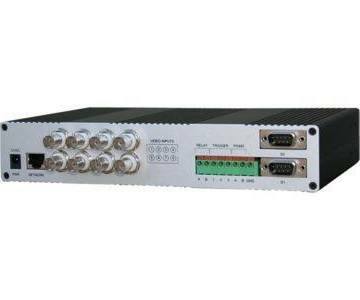 The Express 8 Video Server is a small standalone server that converts up to eight standard analog CCTV camera video sources to compressed digital video streams. The Express 8 can simultaneously stream eight video streams at 7.5 frames per second per channel (full D1 resolution) and includes looping outputs.